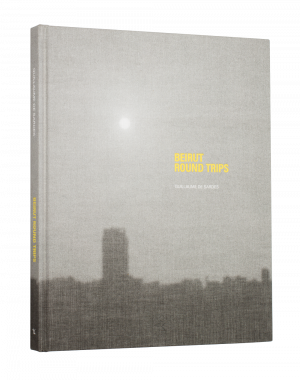 Beirut Round Trips is Guillaume de Sardes' photographic journal, depicting his wanderings in and around Beirut: an impressionist two-sided journey between day and night, dream and documentary. Rayya Badran is a writer based in Beirut. She earned her MA in Aural and Visual Cultures from Goldsmiths College, London in 2008. Her writing primarily centers on sonic practices and music, with special interests in both essaystic and fictional forms. She is an instructor at the American University of Beirut and the Académie Libanaise de Beaux-Arts where she teaches sound studies. is Global Print Sales Director at Magnum Photos since December 2015. Klein studied art history, and German and French literature and linguistics in Bonn and at the Sorbonne in Paris. She then went on to work as an assistant at the Kicken Gallery in Cologne, and from 1997 through 2006, she served as Director of the Photographs Department at Kunsthaus Lempertz auction house. Between 2007 and 2015 she was Head of the Photographs Department at Sotheby’s Europe. She is a frequent lecturer, jury member and author.